There is 0.0 mcg of Vitamin K in 1.0 drumstick with skin of chicken drumsticks (dark meat, meat and skin, enhanced, raw,). You can have chicken drumsticks (dark meat, meat and skin, enhanced, raw,) without worrying about vitamin k.
How does the Vitamin K content in chicken drumsticks (dark meat, meat and skin, enhanced, raw,) compare with other foods? 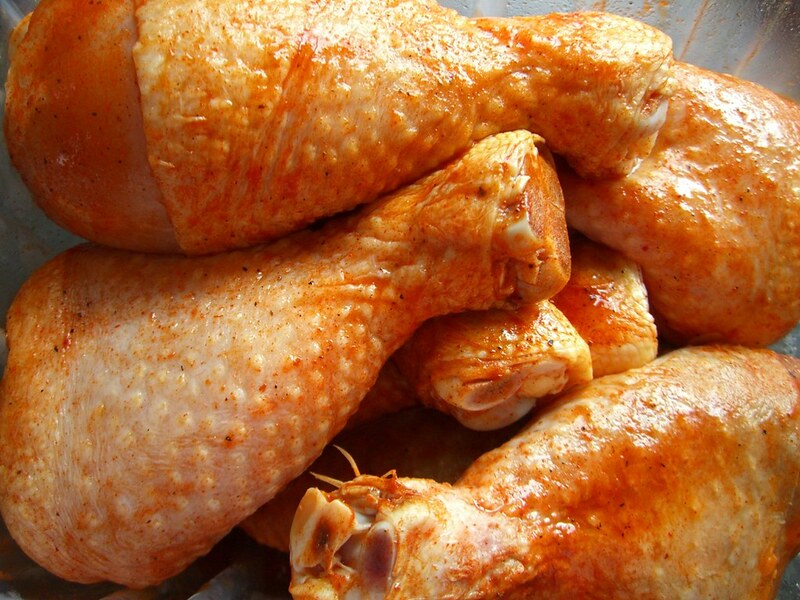 Here are some examples of foods that compare with chicken drumsticks (dark meat, meat and skin, enhanced, raw,). Fig.1. micsten, "Chicken," Published September 17, 2006. https://www.flickr.com/photos/micsten/245380370/. Accessed August 2, 2015. "Chicken, dark meat, drumstick, meat and skin, enhanced, raw,", NDB 5688, U.S. Department of Agriculture, Agricultural Research Service. Nutrient Data Laboratory. USDA National Nutrient Database for Standard Reference. Nutrient Data Laboratory Home Page, http://www.ars.usda.gov/ba/bhnrc/ndl. Accessed October, 2014.